Spicy Black Bean Empanadas | Mexican Appetizers and More! These Spicy Black Bean Empanadas are smoky, savory and hyper-delicious. 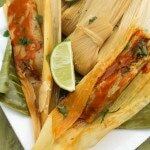 Served with a creamy delicious poblano dip sauce. 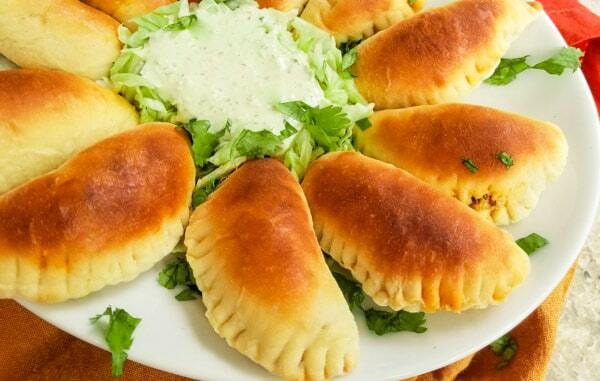 Perfect mini empanadas for any occasion. These Spicy Black Bean Empanadas are such a delicious appetizer treat. 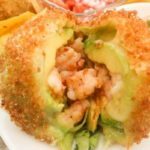 It’s one of those appetizers you just can’t wait to have while you’re preparing them and…. 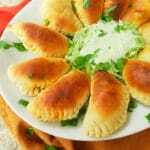 With just a few ingredients and a creamy delicious dip sauce, you will be having these mini smoky, spicy beef empanadas in just under an hour. Season the beef with garlic, cumin, chili powder and a little bit of tomato sauce. Then add peppers, onions, jalapenos and of course black beans. And because you will be using puff pastry dough, you do not have to prepare empanada dough (masa). 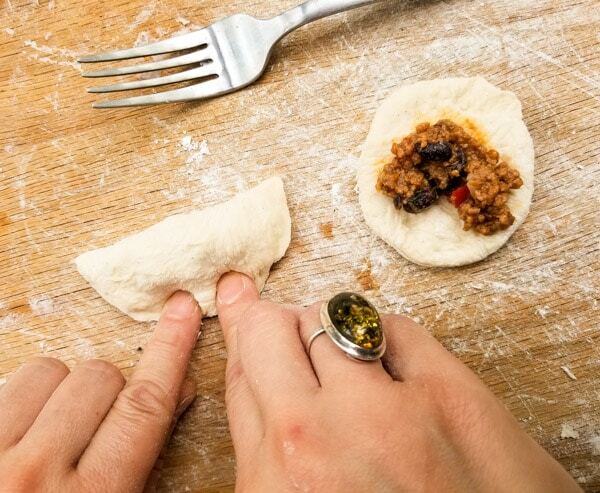 Cut dough out into mini empanada discs and you’ll be ready to fill them with your savory filling. However, no empanada is complete without an awesome dip. So for these spicy black bean empanadas recipe, I decided to pair them up with a creamy poblano dip. The poblano dip is also easily prepared. Combine one fresh poblano pepper, sour cream, a little bit of mayonnaise, garlic, fresh cilantro, lime juice, salt and pepper. This dip is creamy and mild, perfect on pork and fish tacos as well. So make sure not to skip this step. These spicy black bean empanadas are also perfect with salsa verde/green sauce or my hyper-delicious tomato jalapeno salsa. Note: For a vegetarian version, click here → Vegetarian Empanadas with Black Beans and Corn by The Spruce Eats. In a large skillet over medium heat, cook ground beef. Stir and break apart with a spoon. Cook until meat is no longer pink. Add pepper, jalapeno, onion and garlic and cook until tender. Stir in tomato sauce, cumin and chili powder. Reduce the heat and cook for 5 minutes. Remove from heat and let mixture cool enough or to room temperature. 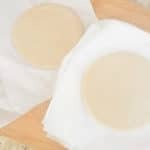 If you're using puff pastry, unfold one sheet on a lightly floured surface. Roll into a 16 x 12 rectangle and using a biscuit cutter, cut 2 1/2 inch circles. Repeat with the remaining sheets. You should end up with 30-40 circles. knead on a lightly floured surface. Using a roller, roll dough out to 1/4 inch flat. Using biscuit cutter, cut out as many circles as you can. Re-roll dough and flatten again. Repeat process until done with dough. 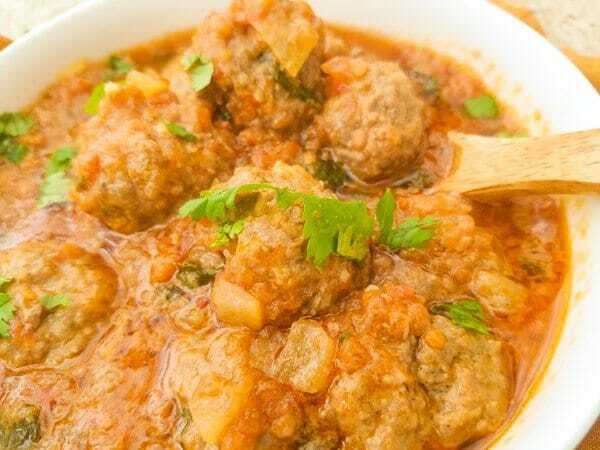 Spoon a little over a teaspoon of beef mixture on one side of circle. 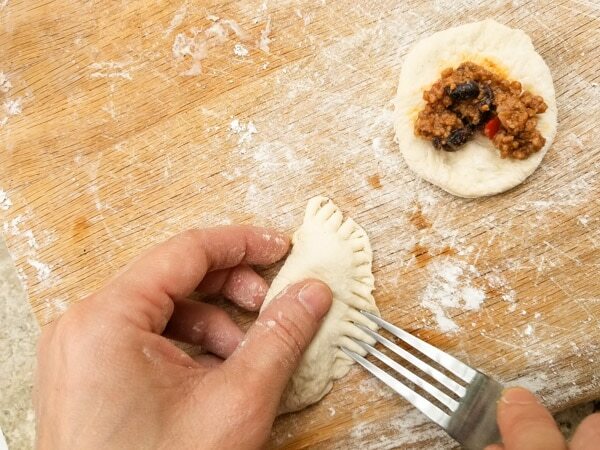 Brush the edges of circles with a little bit of water to seal empanada (could also use forefinger). 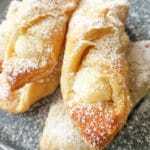 Fold the dough over filling and seal with fingers and then crimp edges with a fork (refer to pictures). Repeat process with the rest of the empanada dough circles. 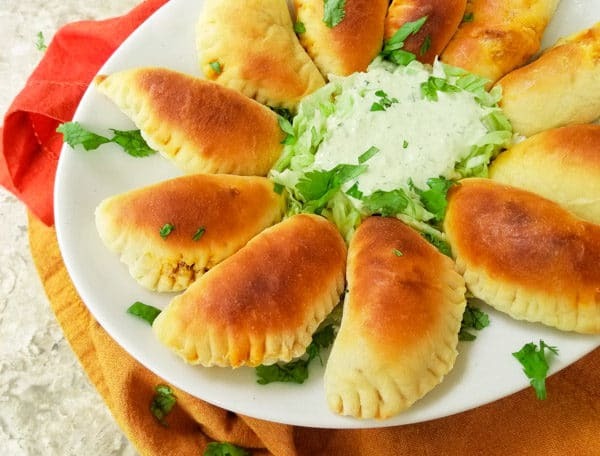 Place empanadas on a baking sheet. Bake for 10-15 or until golden brown. Roast poblano pepper over medium heat in a skillet and char on all sides. (Roast until softened some). Remove and place pepper in a plastic container and cover. Let "sweat" for 10 minutes. Under running water, remove seeds and stem with fingers. Place poblano pepper and all other dip sauce ingredients into a blender or chopper. Blend until smooth. 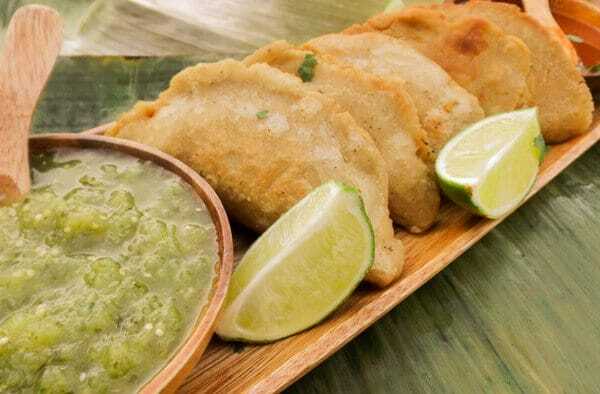 Remove empanadas from oven, serve immediately with poblano dipping sauce. Crimp down with a fork. 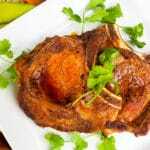 For more delicious beef recipes, click here. Here’s a sneak peek what you will find. What do you think about these Spicy Black Bean Empanadas?